Earn VELUX rewards when you shop with Sterlingbuild! VELUX offer top high street brand vouchers for simply purchasing qualifying products as a way of thanking customers. They have a handy rewards calculator where you can simply type in the code of your product and it will show you how much you are entitled to. Your vouchers can be spent at top brands including John Lewis, M&S, Pizza Express, Argos, Currys PC World, Thomas Cook, Ticket Master and Tesco. Earn £40 of VELUX Rewards every time you buy a VELUX white painted roof window this April and May. This special spring offer includes all VELUX INTEGRA white paint electric and solar centre roof units and the new VELUX electric top hung roof window. VELUX’s stunning CABRIO balcony systems are also included in the promotion. Find out more about the CABRIO here. How do I Claim my VELUX Rewards? Simply log in or sign up at VELUX Rewards and upload your proof of purchase to earn rewards. Terms and conditions apply. Whether you're a homeowner, builder or installer, you can earn these vouchers throughout the year, so be sure to keep visiting our site or follow us on Twitter or Facebook to keep up with the latest rewards and special offers. £75 VELUX rewards on every VELUX flat roof window purchased from October to December 2018. Included VELUX curved glass rooflights, flat glass rooflights, electric INTEGRA windows and more. Throughout the months of September and October, VELUX gave out £30 worth of VELUX rewards on every VELUX white paint roof window purchased. Ideal for white ceilinged lofts, kitchens and bathrooms, VELUX white paint roof windows are available at Sterlingbuild in manual, electric and solar. The VELUX white paint range includes the stunning VELUX CABRIO, a roof window that can be turned into a juliet-style balcony in seconds. In July you could earn £35 of rewards with every VELUX white Polyurethane (PU) roof window purchased. VELUX PU roof windows are available in double glazing, triple glazing and even quadruple glazing. Choose from a manual top hung PU window or a centre pivot window in manual, electric or solar power. 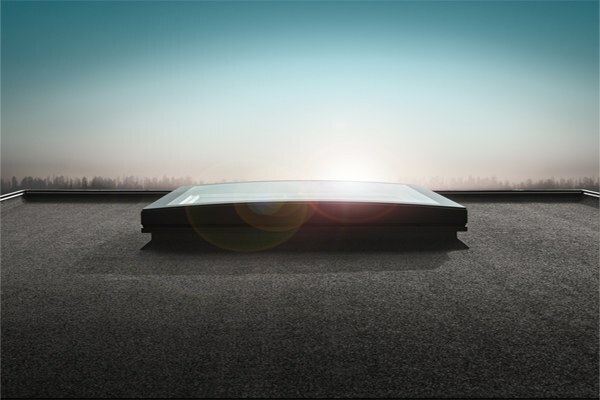 Throughout the month of June, double rewards were on offer for every VELUX flat roof base and cover, meaning £60 of rewards on every VELUX INTEGRA electric curved glass rooflight! There was £25 of rewards with every VELUX white-painted roof window purchased between 1 March to 30 April 2018.